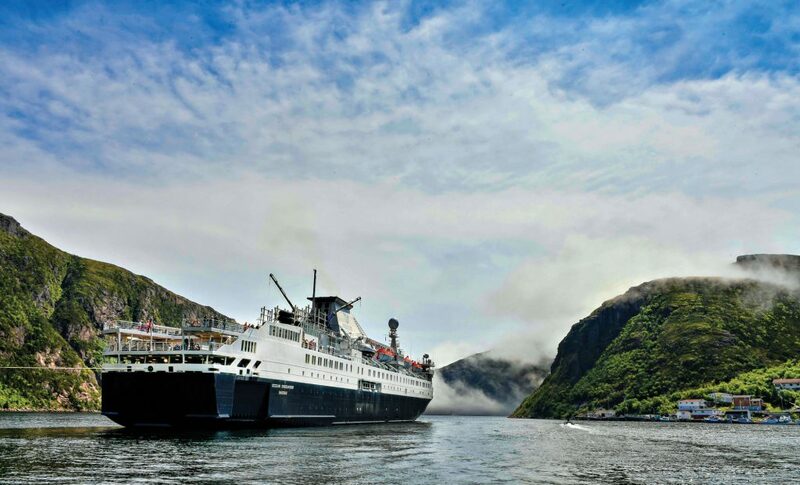 Discover authentic Newfoundland by traveling by sea. Circle the whole island and explore unique locations with local experts on daily land excursions. The landscape of Newfoundland will leave you breathless, with amazing photography and wildlife viewing opportunities. Explore by foot on guided hikes through vast wilderness or stroll through charming villages with local experts. Every day brings a new adventure and with a high crew to guest ratio you will enjoy a seamless experience. Spend the day exploring charming towns and the stunning geographic region of Gros Morne. Hike across the famous Tablelands, where the Earth’s mantle protrudes through the crust or along the shoreline at Green Gardens. Famous for hospitality, Newfoundland is home to some of the most friendly, welcoming people you will meet. This expedition prides itself on working with local experts in the communities – meet local fishers, folk artists, musicians, and storytellers. Your adventure begins in the city of St. John’s, the oldest city in North America. This historical, waterfront city sits on the steep slopes of a snug and sheltered harbour. Discover the brightly coloured row-houses lining the hilly streets, unique eateries, and Celtic heritage. Add time in St. John's to discover the Avalon Peninsula. Bypass the crowds and start making the most of your vacation. A friendly driver takes you directly to the city. Overnight at The Delta Hotels by Marriott St. John’s Conference Centre. The property is located in the heart of downtown St. John’s within walking distance of restaurants, breweries, historic sites, theatres, and the beautiful harbourfront. Enjoy a variety of amenities during your stay including a restaurant and pub, fitness centre, indoor pool, sauna, and squash courts. Continue to explore St. John's this morning before your adventure begins. Please note, the following itinerary is an example of some of the places you may visit, however adventure cruising is design to provide the best possible experience and adjustments to your itinerary may occur. Join an orientation meeting before boarding your cruise today. Watch for whales and seabirds as you set sail for your Newfoundland Circumnavigation! Your circumnavigation cruise continues as you sail north today. Discover picturesque villages along rocky shorelines. Your experienced guides will show you what Newfoundland is famous for – fishing, music, poetry, storytelling, folk art and, of course, remarkably welcoming people. Your cruise continues with daily activities with your experienced guides. Each community along the shore is unique with a fascinating past. Expect a warm Newfoundland welcome as you come to shore. Have your camera ready for quaint and charming architecture. Spend the day soaking in the Viking history of Newfoundland. Explore the remote area of Labrador on the mainland today. Visit Red Bay Basque Whaling Station. This UNESCO World Heritage site tells the story of Basque whalers who occupied the harbour in the 1500s.